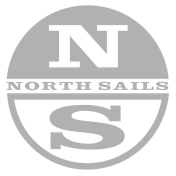 The cross cut HJ-9 mainsail is an all purpose sail. It has been designed so that the top and clew panels are rocked to absorb the high loads. The sail is fast in both flat water and lumpy seas. Manufactured from Dacron 6.46 Polypreg. Wind range: 0-10 knots The cross cut HL-6 Jib is designed for use in the windrange of 0-10 knots. The sail is fuller in the top 1/3 than the all purpose jib, so that you retain pressure in the sail when you ease the sheet. Manufactured from Dacron 5.46 Polykote. Wind range: 5-16 knots The cross cut LM-6 Jib is designed for use in the wind range 5-16 knots. It is our all round jib and provides excellent speed and pointing in all conditions. Manufactured from Dacron 6.5 Polykote. Wind range: 14+ knots The MH-6 Jib is designed for use in the wind range 14 + knots. A must have sail for the strong winds it gives great pointing and is easy to steer too. Manufactured from Dacron 6.5 Polykot cloth. The bi-radial Bl-5 Spinnaker is our all round spinnaker it is made from minimum weight cloths (Superkote 75 & Dynakote 75) according to the class rules. It is designed for windward - Leeward racing.